Jennings County is a natural paradise. The melting glaciers carved out an erratic labyrinth in the limestone bedrock. 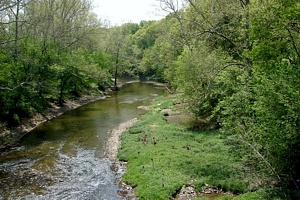 "Muscatatuck" translates into "Land of Winding Waters". The Muscatatuck River is the highlight here, but various streams interject the river creating their own beauty, often with small water falls, steep dells and exposed bluffs. 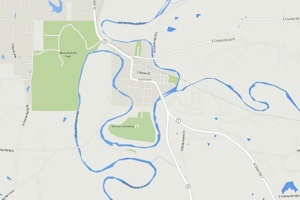 The river in Jennings has helped define not only the topography, but the business landscape. Vernon is surrounded by the river and this natural barrier had a lot to do with its preservation. Development has been primarily North, giving Vernon a distinct persona. The River can be accessed in various places throughout the county. The three main access points are the Vernon Commons (level and good for canoes), the Vinegar Mill area in the Muscatatuck Park (overlook and foot access), and Crosley SFWA public access site. After a long winter Jennings County bursts into spring with an amazing spectacle of varied color perfection. Bluebells and spring beauty dominated the landscape, yet savvy flower viewers will have a plethora of varied species to enjoy. Many protected species can be found within the refuges and preserves. Summer explodes in deep greens creating dense canopies waiting for an amazing fall spectacle. Small secret: Fall color in Jennings is as good as anywhere, and a little less crowded! Late fall is the best time for hiking. Jennings is truly a great stomping ground. The winding trails and beauty of the river obscure the gray skies. Winter brings cold, but often a winter wonderland. Frozen waterfalls highlight the landscape with snowy trails open for exploration. 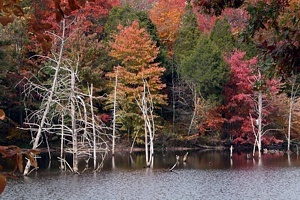 The forests in Jennings are typical eastern hardwood species. The many preserved lands highlight these trees along the numerous trails. The Calli State Nature Preserve has one of the few natural hemlock populations in Jennings. Seeing this remnant species in the wild is a pleasure. Upland and river species are all well represented. 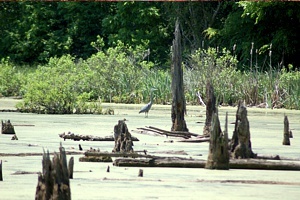 Jennings is a leader when it comes to wetland restoration, the Muscatatuck National Wildlife Refuge being the best example in Indiana. Jennings is a great place to hunt. With the National refuges, Crosley SFWA and numerous private lands Jennings is a hunter destination. You cannot hunt in the Muscatatuck Park, but visit the surrounding properties and stay in our camp and relax after your adventure! Likewise, for those who prefer to view wildlife, the opportunities are numerous! 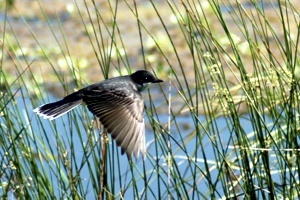 Muscatatuck National Wildlife Refuge hosts an annual birding event "Wings over the Muscatatuck" each spring. The refuge boasts over 280 avian species. The underlying Karst topography does lend itself to many caves and underground drainage systems. The Muscatatuck Park does not have caves accessible to humans, but the underground hydrological system is very interesting. A very visually aesthetic spring shoots out of the middle of a limestone wall near the Vinegar Mill. 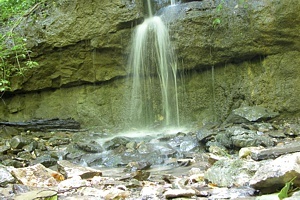 Small caves on the property are often wildlife dens. The State caves in Crosley have been closed to minimize the impact of White Nose Syndrom, but many private caves are still open. There are a good number of Indiana Grotto associations. The NSS, National Speleological Society is the central information center. 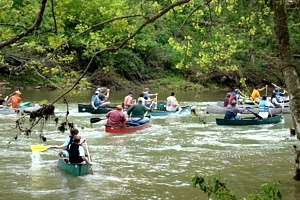 Although the Muscatatuck river is not navigable in late summer, late winter to early summer provide great floating opportunities. The winding river makes the ride very picturesque with the small falls, numerous boulders, and often shady overhangs. Come at the right time and you will not be disappointed!